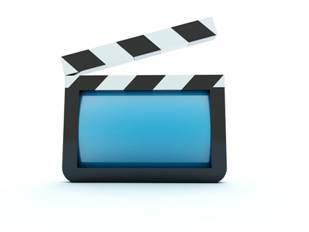 Memories in a Flash offering video editing services. Transform your old mute videos into a wonderful video production, set with fitting music of your choice. For copyright reasons you must provide us your own music. Let us omit any unnecessary or unwanted footage from your video. If you have different clips from your wedding day that would like to put together or include extra items, such as photographs from different sources or your honeymoon pictures bring them to us and we will make a fantastic video for you to cherish for a lifetime! We then create a custom DVD case. AVI, MP4, MPEG, WMV, FLV, SWF among others. We will transfer your video tapes to a flash drive or your external drive for easy portability and viewing on your PC or Mac. You will need to provide us your own external drive. At Memories in a Flash, you will get high quality without the high cost. Our video editing services are for the budget conscious. Don’t lose your most precious memories contact Memories in a Flash today! Your original video is kept safe and will be returned to you in its entirety. Finding the ideal way to store your photos is important in preserving them for a lifetime. Camera memory cards are the standard method used for photo transfer. Flash Memory Sticks, also referred as USB drives or thumb drives, is another convenient method for short term portable storage and for transferring your pictures between devices. These devices are not designed for long term storage, especially if they are being used by for several projects at once. If you do not continually print or delete pictures stored on these devices, not only will you eventually run out of space, but, you could also loose, damage or accidentally delete your precious pictures. 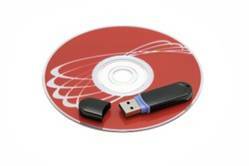 It is for this reason that Memories In A Flash offers the service of transferring your pictures to CD or DVD. Transferring your photos to CD or DVD is the quickest and easiest way to ensure that your treasured moments will be preserved for the next generation. CD and DVD offer the same quality, with the only difference being in storage capacity (see table for details). When you transfer your pictures to a CD or DVD you will be able to view your old photos on your computer or DVD, edit them, easily create reprints of your photos, and share the old photos online or with family and friends. How many photos will a CD hold? The short answer is a lot. The long answer is it depends on your camera, the image size and the quality of your JPEG. The chart below will give you an idea of how many photos from a 5 megapixel camera will fit on a CD or DVD. Your photos will be preserved after being digitized so you'll never worry about a fire, flood, or disaster again! If you want to safeguard your pictures, it’s good practice to transfer your digital photos as soon as possible after a significant event. Simply gather up your all of thumb drives or memory cards, and we will take care of the rest.